The Ultrabook category, a niche first carved by Intel back at Computex 2011, is now finally fleshing out, with new entrants making their presence felt. While Acer beat most folks out of the stable in India, with the launch of the Aspire S3 Ultrabook in early October, other companies are catching up. Both Lenovo and Asus launched their Ultrabook offerings in the Indian market recently, with Lenovo introducing its IdeaPad U300S Ultrabook, and Asus its Zenbook UX31E today. Check out our complete report on the Asus Zenbook UX31E here. In the meanwhile, feast your eyes on the Lenovo IdeaPad U300S Ultrabook (first shown off in September), which like other machines in the category, is set to demonstrate unprecedented ultraportability and performance, while staying in the mainstream segment and qualifying as a desktop replacement, using Intel’s newest processors and chipset platforms. Priced at Rs. 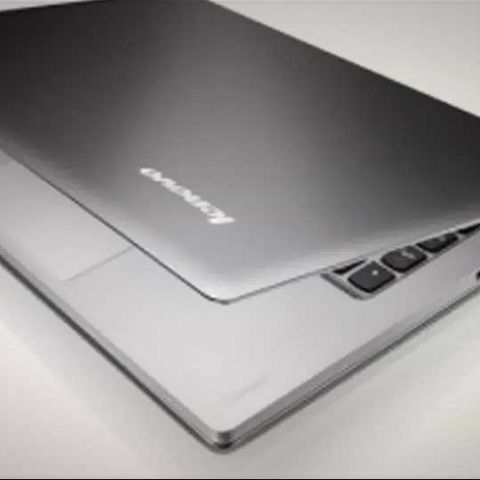 67,990 (excluding taxes), the Lenovo IdeaPad U300S Ultrabook will hit shelves by November 29, next week. The sleek 13.3-inch IdeaPad U300S measures in with a thickness of just 14.9mm, or 0.6-inches, and weighs in at roughly 1.3 kgs. 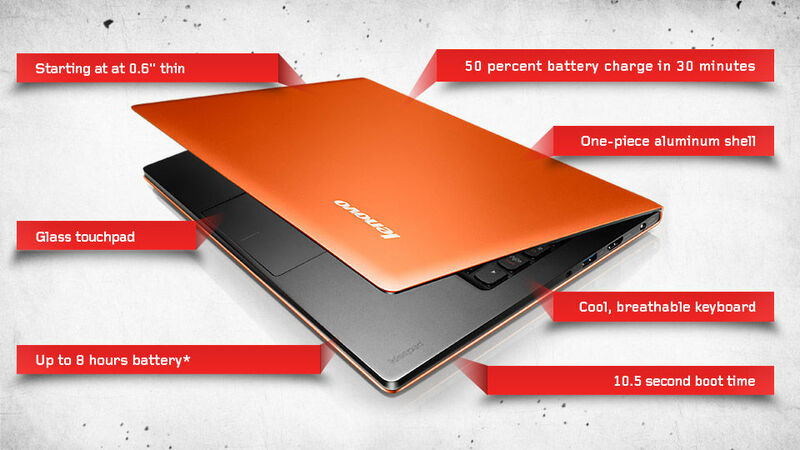 The body of U300s Ultrabook is made from a single-piece aluminum shell and is available in Graphite Grey and Clementine Orange colours. The Lenovo IdeaPad U300S Ultrabook will ship with 64-bit Windows 7 Home Premium onboard, and will come with a 3-year warranty (excluding the 1-year warranty battery). Major specs include a 2nd Generation Core i5 processor (with a Core i7 option expected to retail soon as well) with on-chip Intel GMA HD 3000 graphics, a minimum of 4GB of DDR3 RAM, up to 128GB of SSD storage, Bluetooth 3.0 / Wi-Fi 802.11n / USB 3.0 / USB 2.0 / HDMI connectivity, an integrated 720p HD webcam (1.3MP), SRS Sound enhancement, and Intel’s Wi-Di wireless display technology. According to officials, a 256GB SSD option will only become available later. So, while Acer’s and Asus’s 13.3-inch offerings are both quite similar to the Lenovo IdeaPad U300S Ultrabook, Lenovo obviously hopes its product will stand apart from its competitors on more than just the brand value – proprietary technologies like a glass touchpad, Lenovo RapidCharge, Lenovo’s The Enhanced Experience 2.0 RapidDrive SSD technology, and Lenovo Long Life Battery should help. Battery life extends up to 8 hours of use, and 30 days of standby time. RapidCharge supposedly assists in charging up to 50% of the battery in under 30 minutes. The RapidDrive SSD tech promises boot times of around 10.5 seconds. The IdeaPad U300S Ultrabook also features what the company calls a Breathable Keyboard, using Intel’s Advanced Cooling Technology for air flow via the keyboard, sides and rear of the laptop.